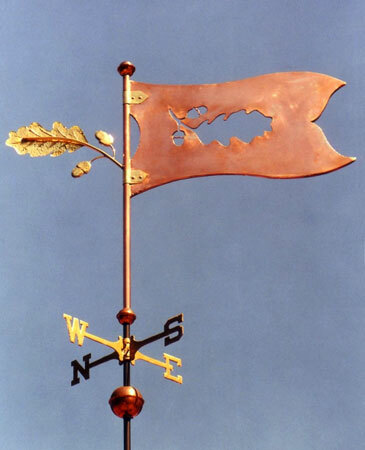 The Oak Leaf Banner Weather Vane features a cutout of an oak leaf and two acorns in the banner field. We used the cut-out pieces to create the “wind pointer” and accented the pointer with optional gold leafing. This weathervane makes a decorative and interesting use of both negative and positive space, reinforcing the oak leaf image. To strengthen this banner weathervane we employ ‘boxed’ style construction. The banner field is comprised of two separate sheets of copper with a thin copper border boxing the entire perimeter. 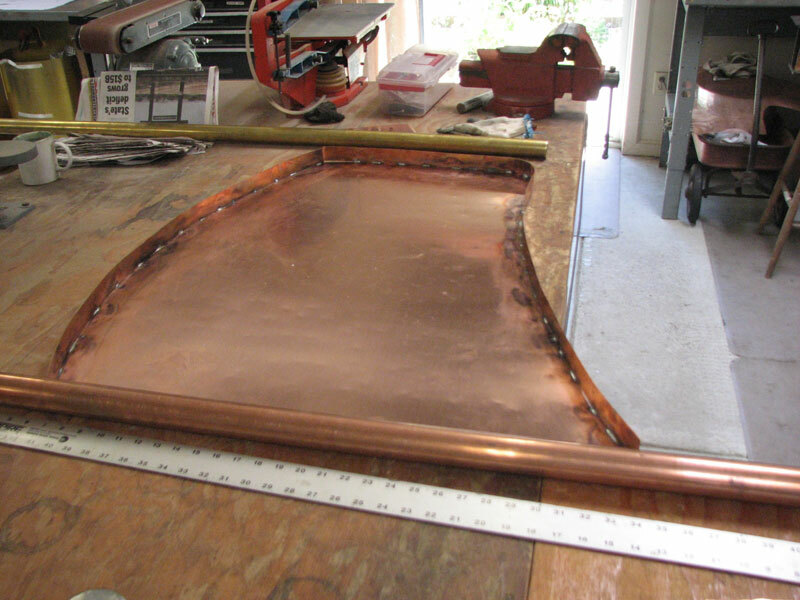 Our highly skilled artisans also line the inside of the acorn/leaf cut-out with the same thin copper edging. Creating a boxed banner is much stronger than a banner comprised of a single sheet of metal. You will also notice that we have attached brass straps where the banner field connects with the vertical mounting tube. Again, this is to increase the structural integrity of the weather vane. If you prefer, these straps can be made in copper or we can apply optional gold leaf to them to create a vivid contrast with the weathered copper. Banner weathervanes are very popular, especially in Europe. Their use actually dates back to the Middle Ages when copper vanes (also known as fanes) were often based on a family’s Coat of Arms.